Microwave hot potato - No Fire / Flame or Oven. Buy a long potato, labeled specially for making the ‘ Hot potatoes ‘. Clean it thoroughly, Brush it, check for any dead worms on it, remove any dead worm spots with sharp knife,… ( you can also use 2-3 potatoes if are small,.. instead of one big. Insert the fork thoroughly in it, hold it with fork on a cutting board and stab with the knife shown, all around it, 15-25+ times, a 0.5 in deep cuts, all around its faces/skin, on a cutting board. Rub the potato with the pickles’ tasty oil ( if not, use regular oil / butter ) , also rub salt on it with fingers all around its skin. In a broad glass plate shown, keep a little water ( 0.2-0.3 inch depth around ) and microwave potato for 4 min. about. Again, switch its side ( upside down) and microwave it with 4 minutes around. Take the dish out, with knife, cross cut on top ( making a deep X ) and fill it with shredded cheese and sour cream. 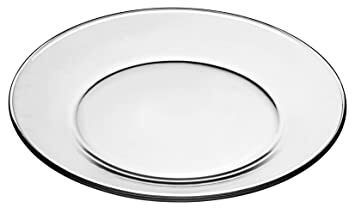 ( may fill with a little butter also, if like ) , Take any excess water left in the plate, away. Again microwave it for 1.5 to 2 minutes, till cheese gets melted. Sprinkle salt and kaali mirchi ( melt a little butter piece on top ) and serve in the same plate. Serve Hot, Eat hot n' steamy. Last edited by log1iszero; October 5th, 2017 at 06:48 AM. my favourite (though i bake mine). I top the sour cream with chives and bacon. Wendy was selling long ago for 99 cent a dish, we ate almost every sunday,....but problem was, they never look for dead worm-spots on it, and you eat all dead-worms on a potato,.. ! Last edited by log1iszero; October 5th, 2017 at 06:27 AM. I bake at 400 D for 1 hour. and yes, foil wrapped. It doesnt need baby sitting but yes, not a quick meal. I do like the skin part. I never thought of looking for dead worms on skin though. Kabhi potato aur sweet-potato ki sabzii banaayi hi nahin , kya ? 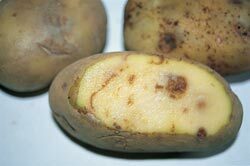 On any big size potato, those spots are dead worms, you need to remove those,.. ! The way I was raised, my mother never let anyone to cut potato for vegetables, as she can never trust anybody. She would remove all those dead worms, very minutely, precisely and punctually. These things die there, and becomes a dry spot there,..
Last edited by log1iszero; October 5th, 2017 at 07:03 AM. 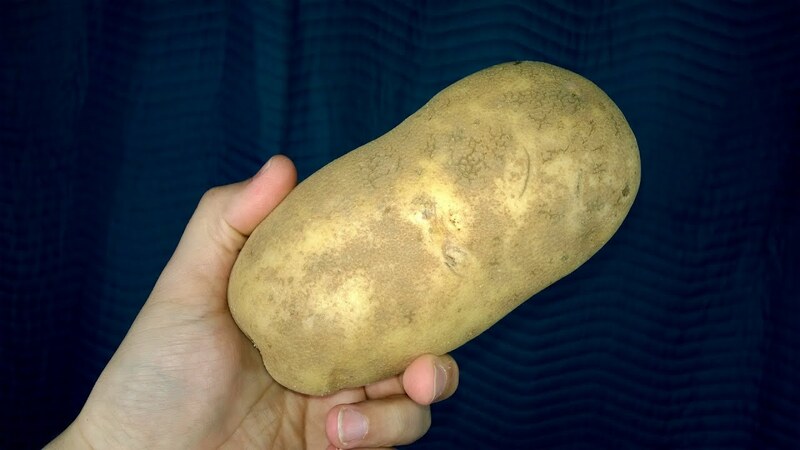 the jacket potatoes i get are already prewashed and ready to use. I rarely see these spots and even when making hash-browns, i peel and cut and barely ever see these spots. the potatoes we get here dont have all these things or at least I havent come across. For me western cuisine at home is like cheating and quite bland .. Instead of this hot potato I would demand aalu paratha from my wife. It’s ok and good……….. and depends on how tasty the stuffing Masala you fill it in with,…. Mashed potato with all spices, and sesame and all kinda seeds,… the tasty dough you make to fill inside,…. However it’s time-consuming and little more effort requiring than Hot Potato,…. Last edited by log1iszero; October 13th, 2017 at 10:36 PM.